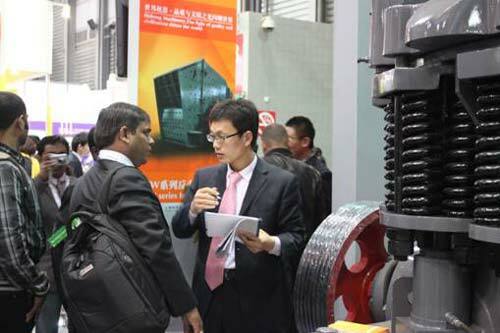 Bauma China 2010, the leading international trade fair in China and Asia for all sectors of the construction-machinery industry took its place on December 23, 2010 in Shanghai, China. With a total exhibition space as large as 230 000m2, it attracted more than 1700 Key players, which made a historic record in exhibitor number. Shanghai Shibang Machinery Co., Ltd(SBM), important manufacturer of crushing and powder making equipement in China, also took this opportunity at Bauma China 2010, with its new VSI5X sand maker, MTW Continental Trapezoid Mill, CS Series Spring Cone Crusher, HPC Series Cone Crusher With High-efficiency and some other competitive products, aiming to explore the international market. 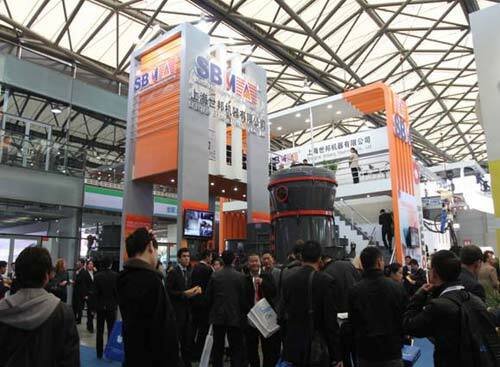 The Bauma Exhibition, which takes place every two years a time, is the best platform for SBM to show its profile, and for customers to know more about SBM. 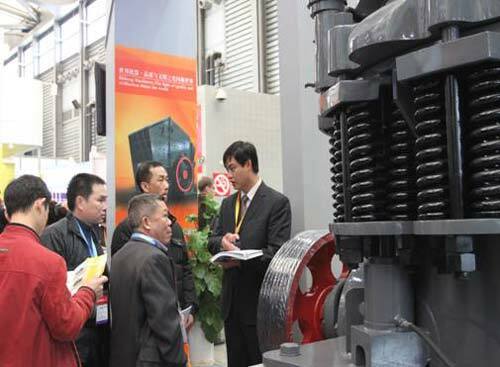 On the first day, SBM, prepared carefully and showed up with confidence, has attracted the attention of Chinese and foreign customers. SBM treated them with a warm reception, and answered their questions with great patience.